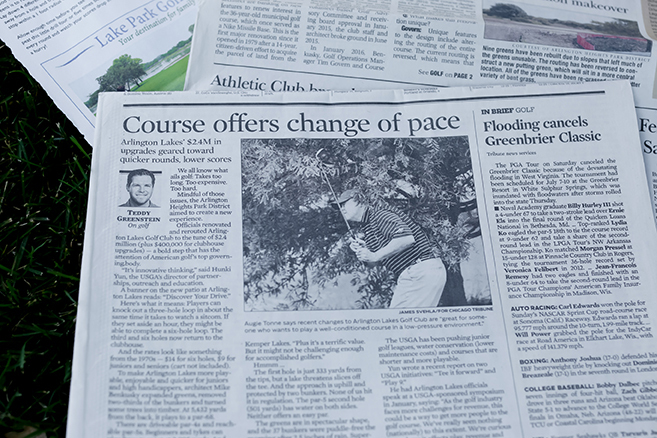 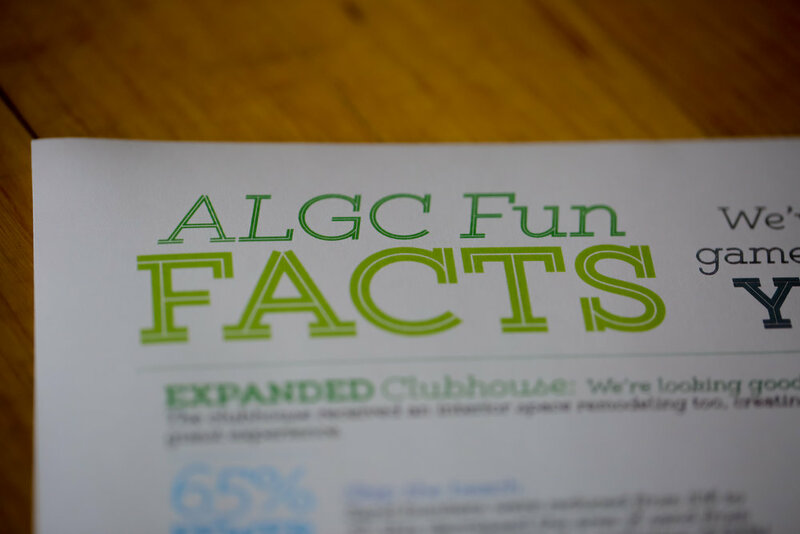 On January 13, 2015, the Park Board of Commissioners voted to proceed with the first major renovation of the ALGC course since opening its doors in 1979. 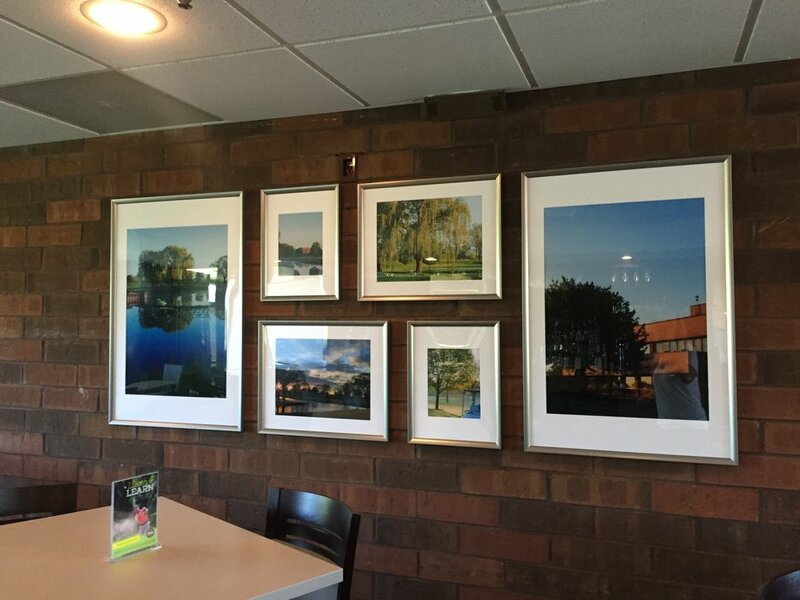 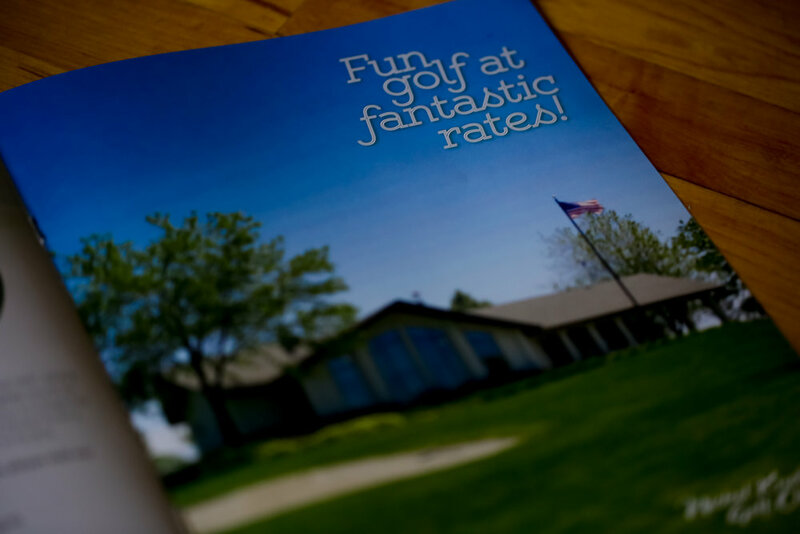 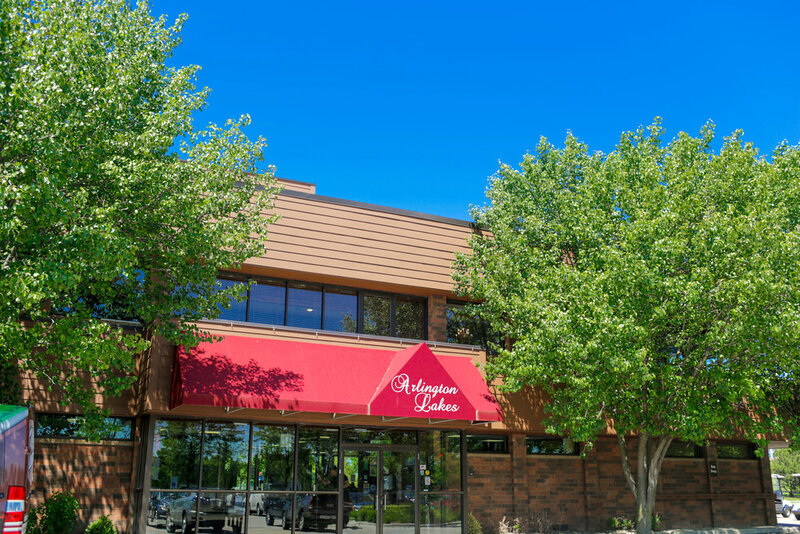 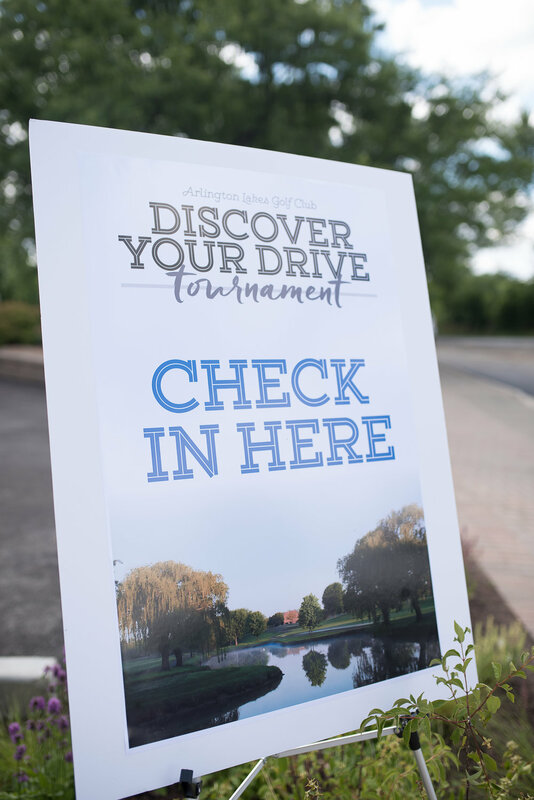 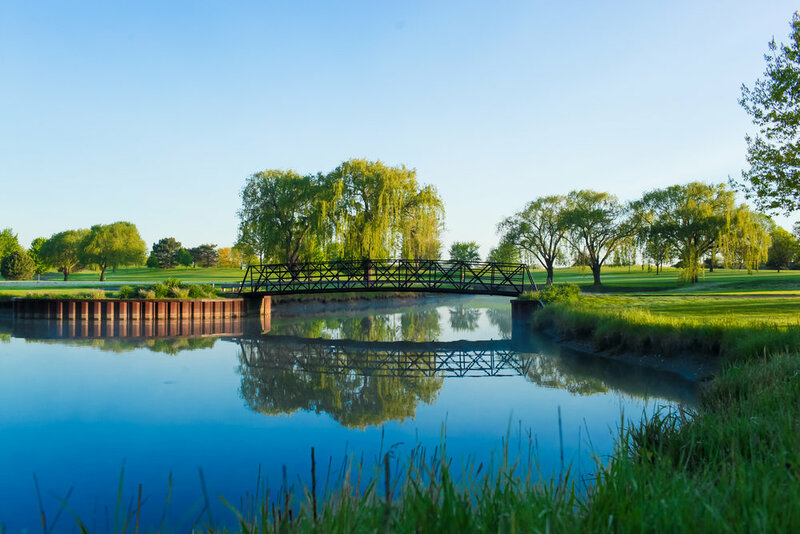 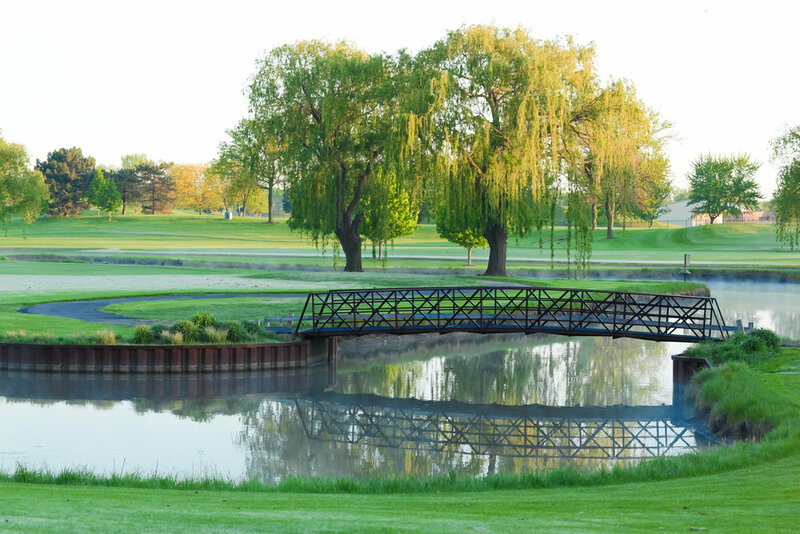 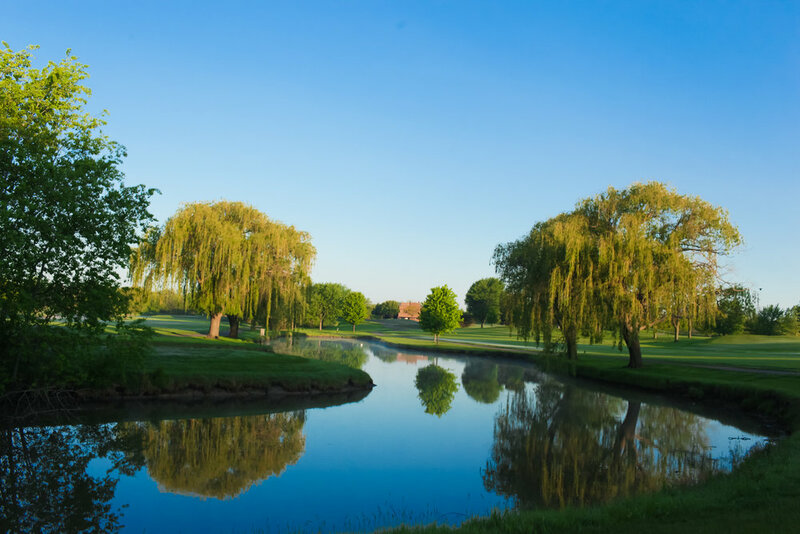 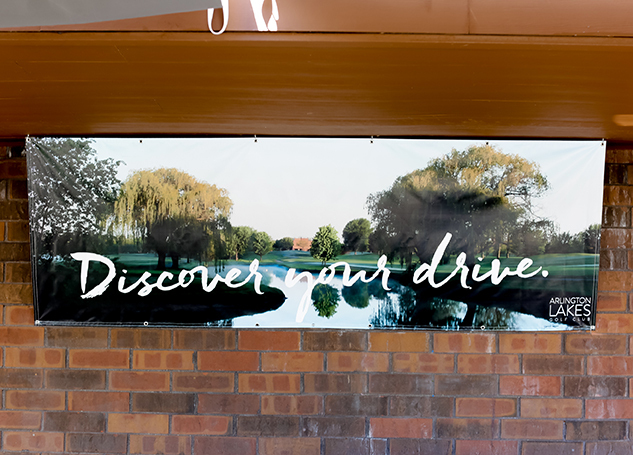 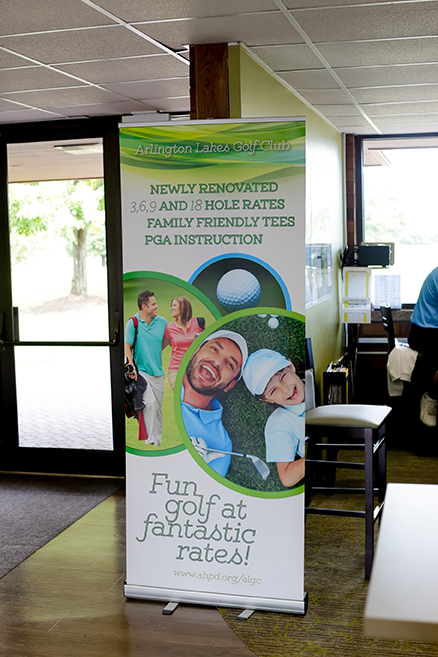 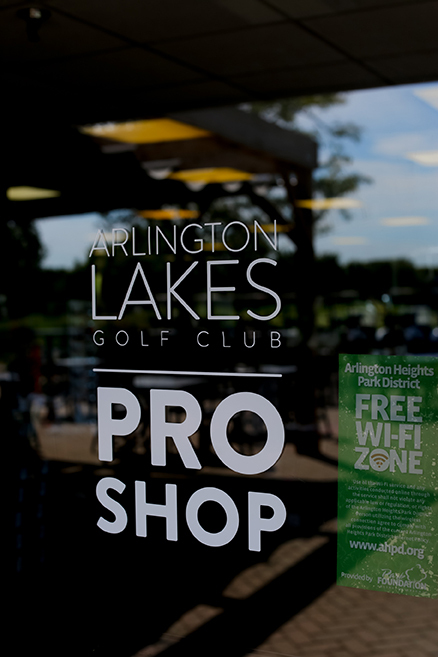 The Arlington Lakes Golf Club underwent an extensive $2 million renovation. 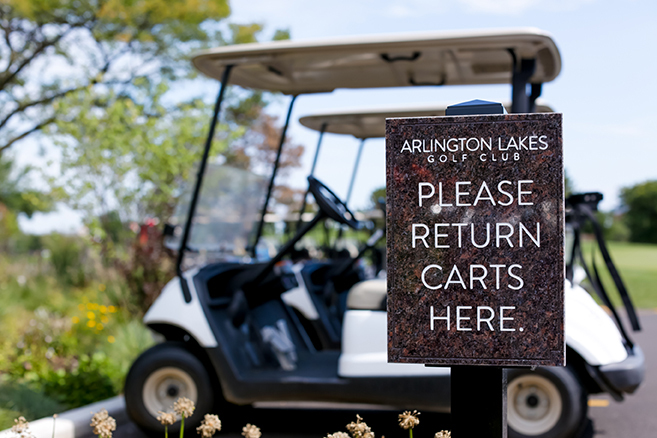 Its new features and trends have re-awakened the 36-year old municipal golf course, which once served as a Nike Missile Base. 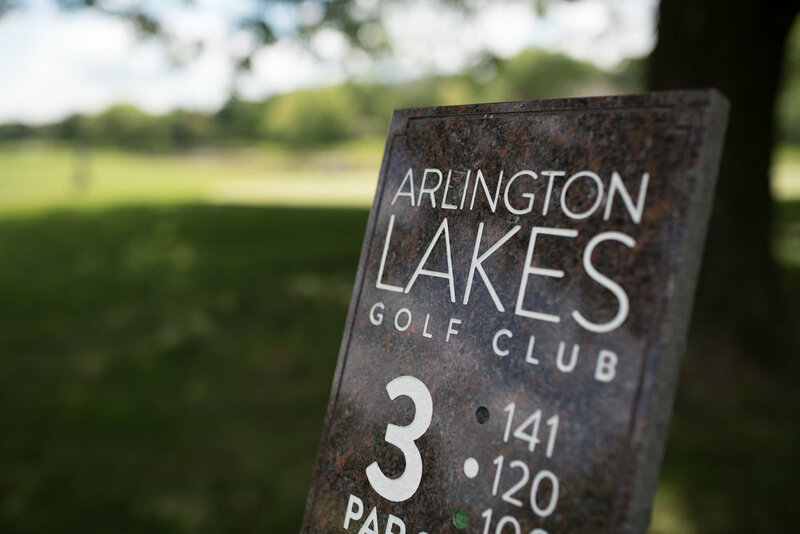 On July 1, 2016, The Arlington Lakes Golf Club Re-"Awoke" to the public. 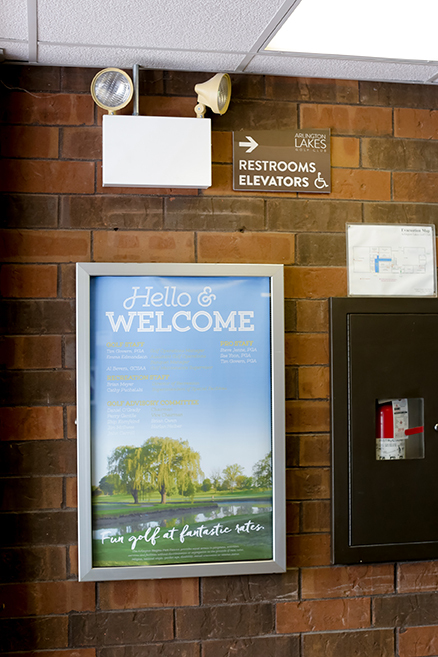 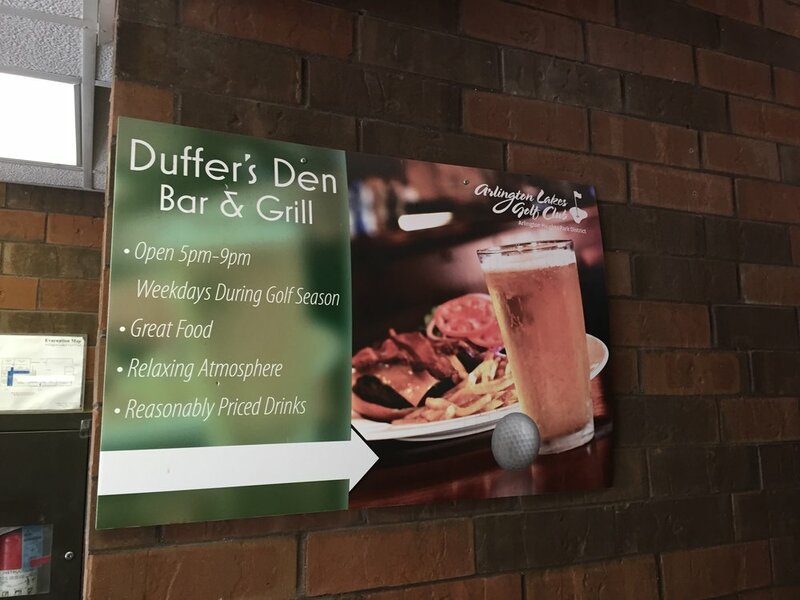 From a drab wooden sign to interior lit LED double sided sign. 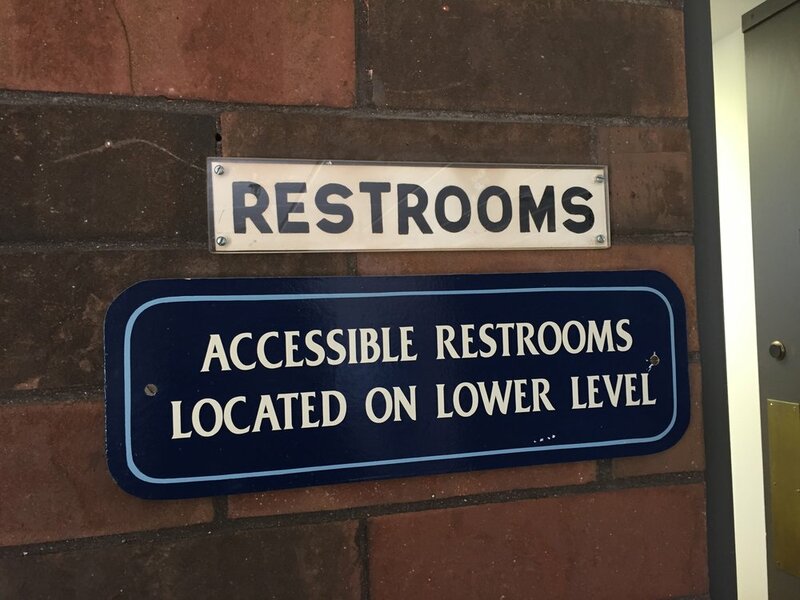 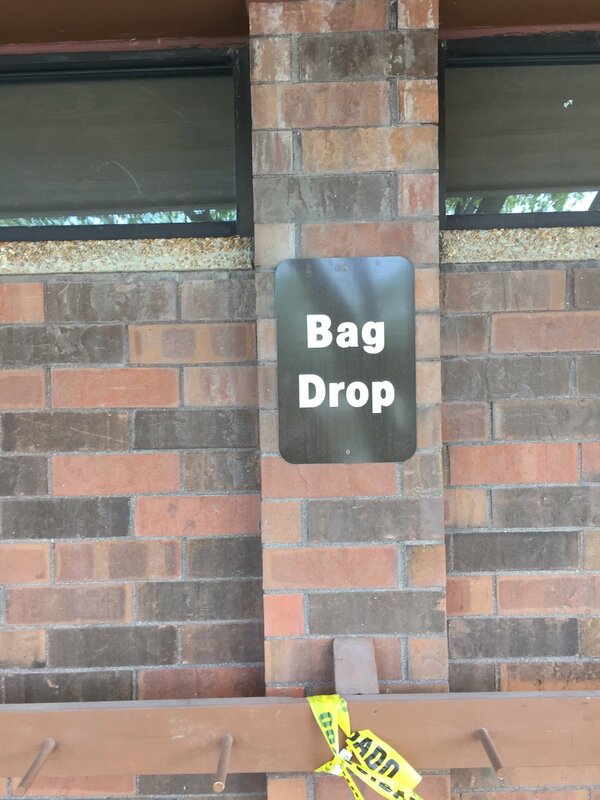 A village variance was approved due to the size of the final size. 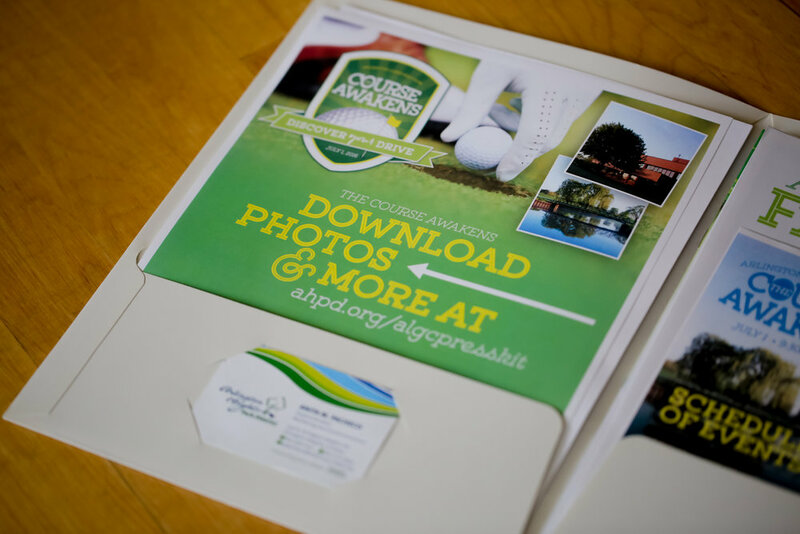 Updated menus, table top displays, event signage. 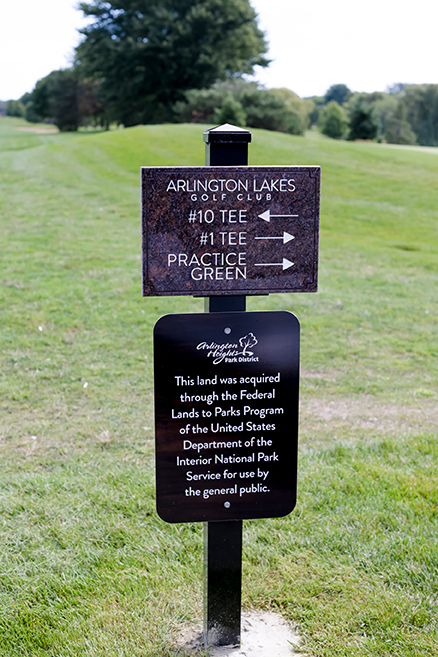 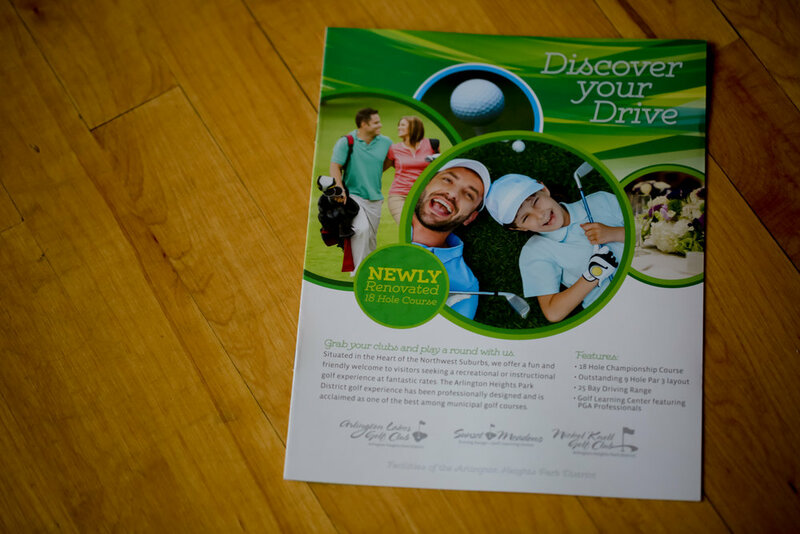 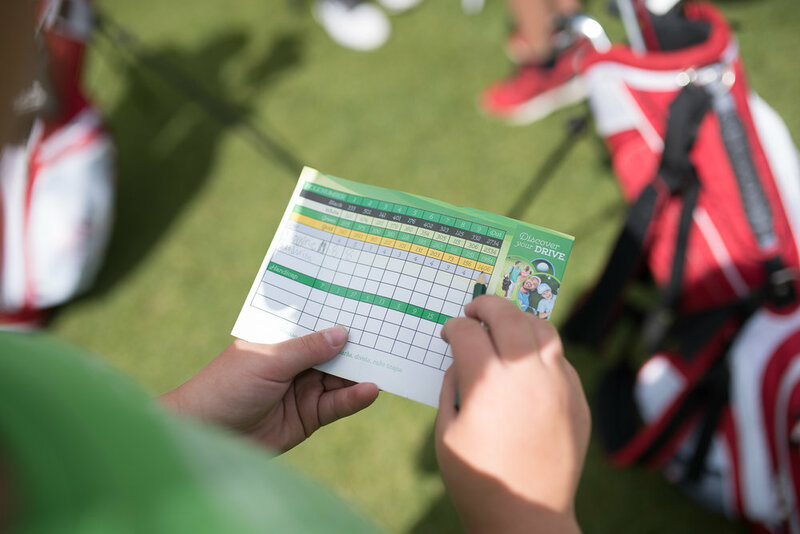 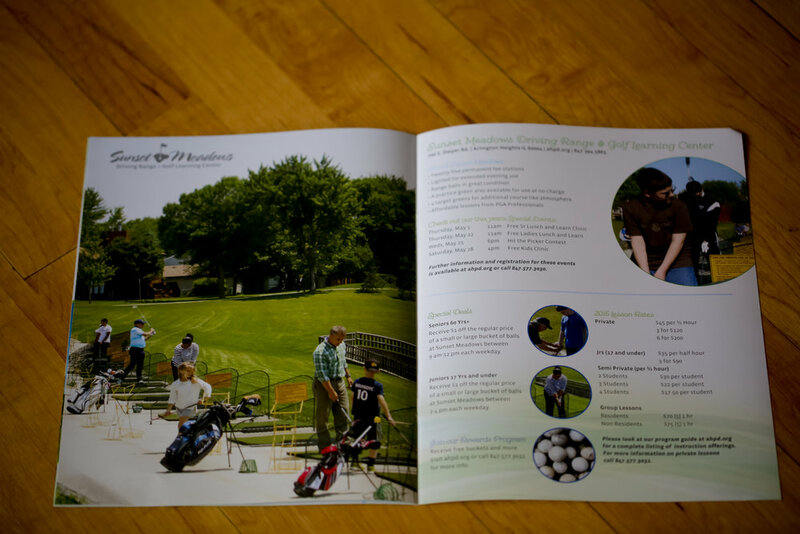 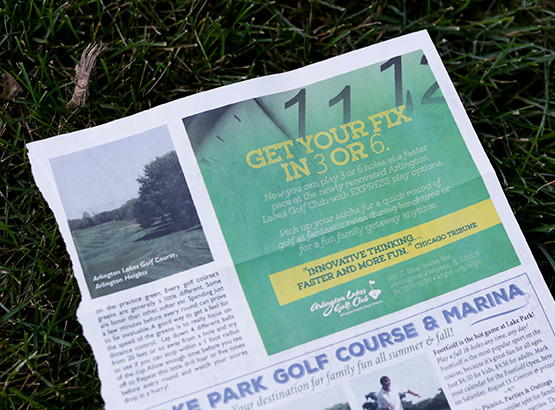 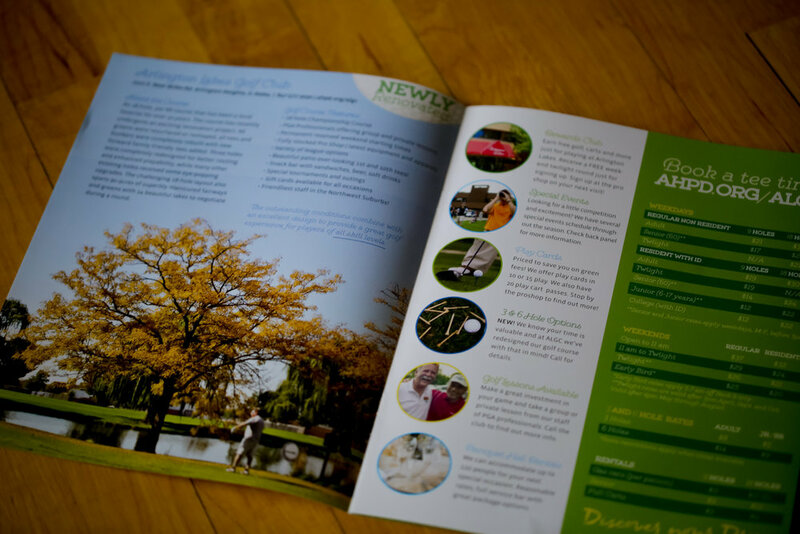 Informational desk signage that prominently feature green fees and weekly specials. 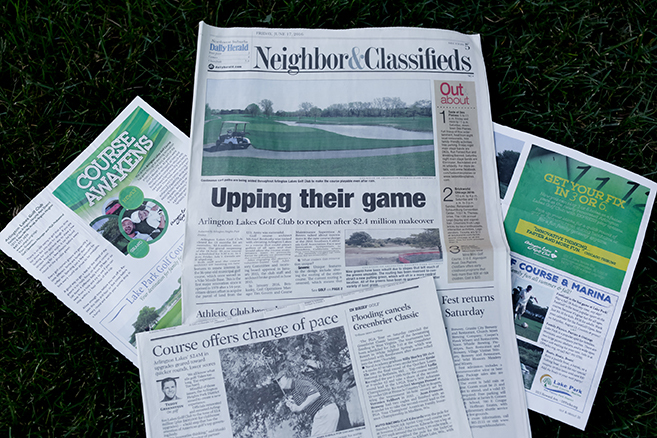 Leading up the launch, we were asked to develop a whole slew of giveaways and memorabilia. 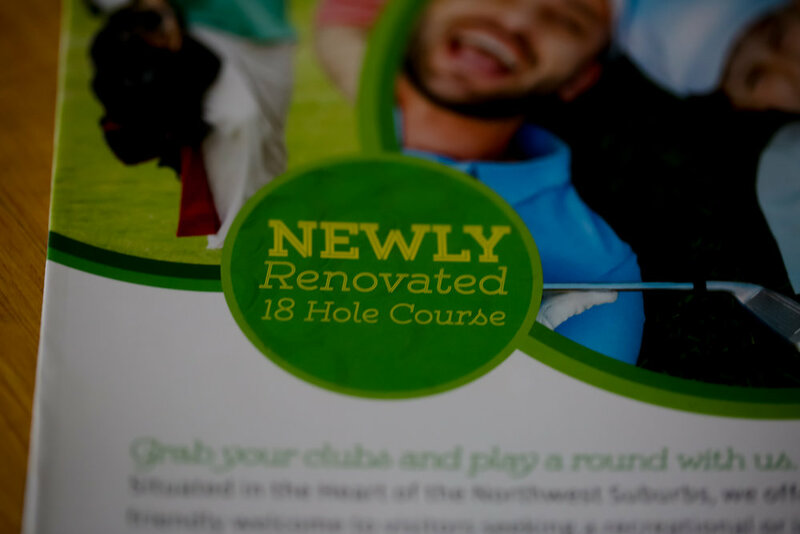 Full scale trade-show display; including a golf plinko game we developed and built in-house. 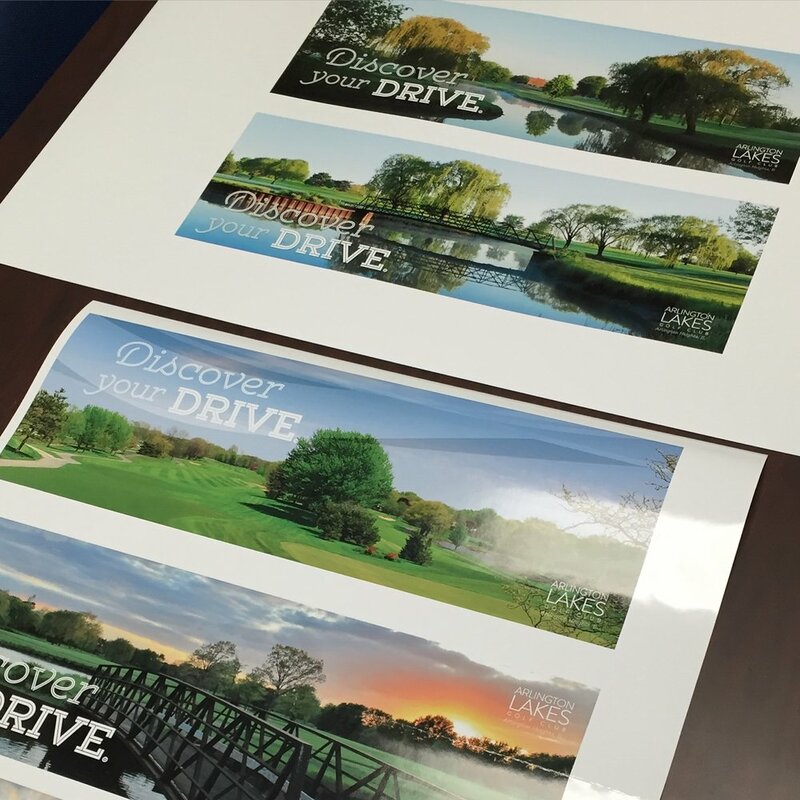 30 commemorative flags and tee flags (Blue, red and white). 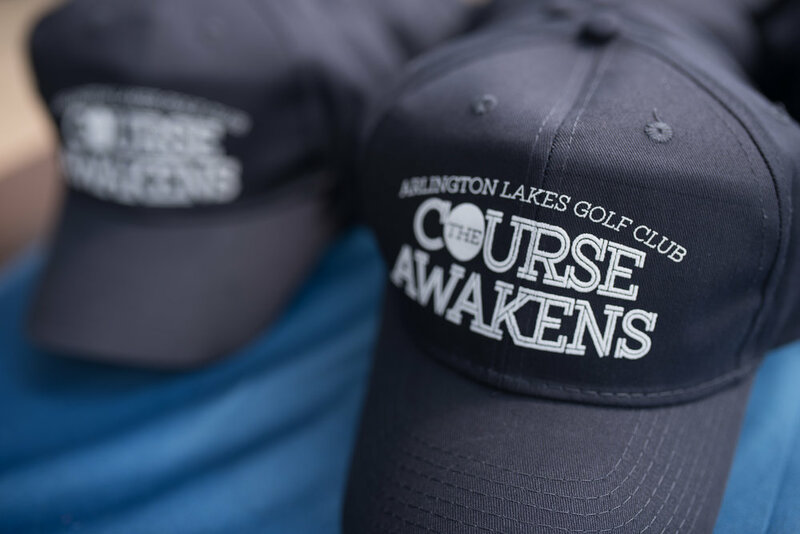 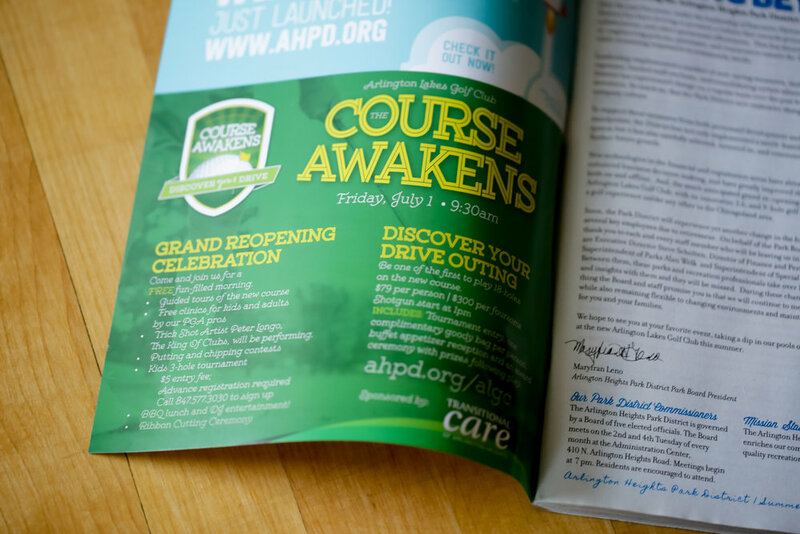 "The Course Awakens" - which was a play on words that coincided with the release when the newest Star Wars movie. 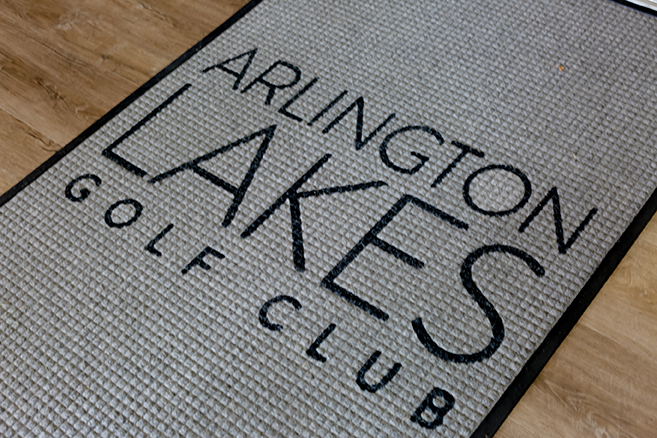 As the months went on (and the Star Wars hype died down), we evolved the look and feel for the launch to stand on its on without the movie vibe.